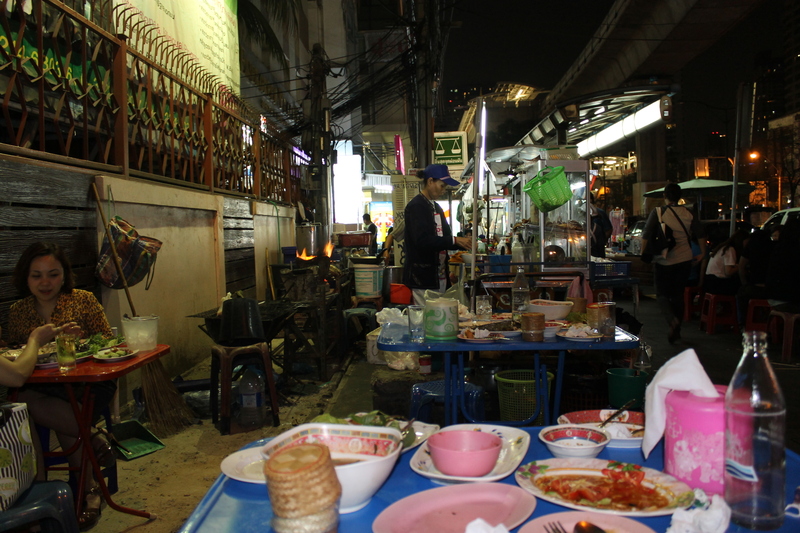 One of the best meals of my life: late night street food in Bangkok. Husband and I were in Thailand January just passed (2014), while the city was in the midst of the “Shutdown Bangkok” political movement. It wasn’t ideal. A lot of the markets and street food vendors I’d remembered so fondly from a previous visit were either not operating, or doing much shorter hours than usual. The protestors were peaceful, and as such, really didn’t hinder our movements around the city. 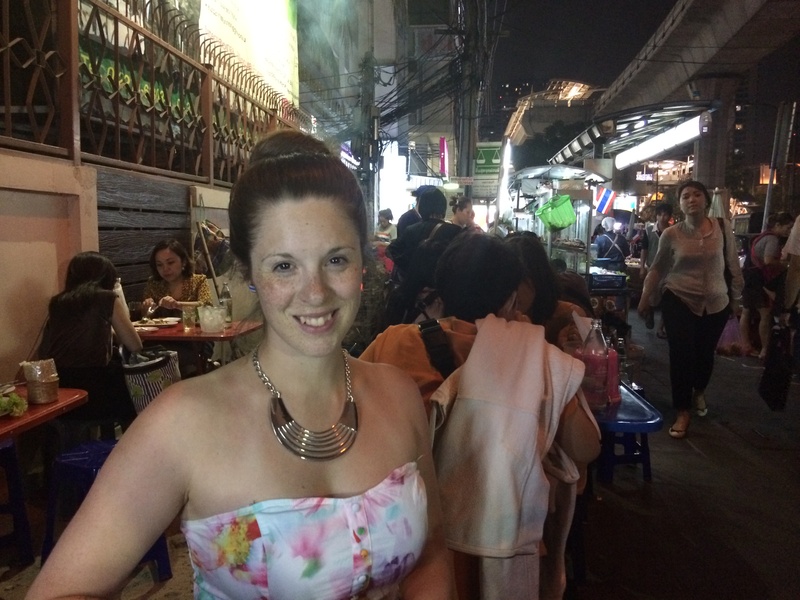 On our last night in Bangkok, we set out for one of the night markets I’d visited last time (honestly can’t remember which one it was now, unfortunately! ), and after a few wrong turns, we finally found it. Only to discover that perhaps a scant 10% of the regular vendors were operating. And no street food to be seen. 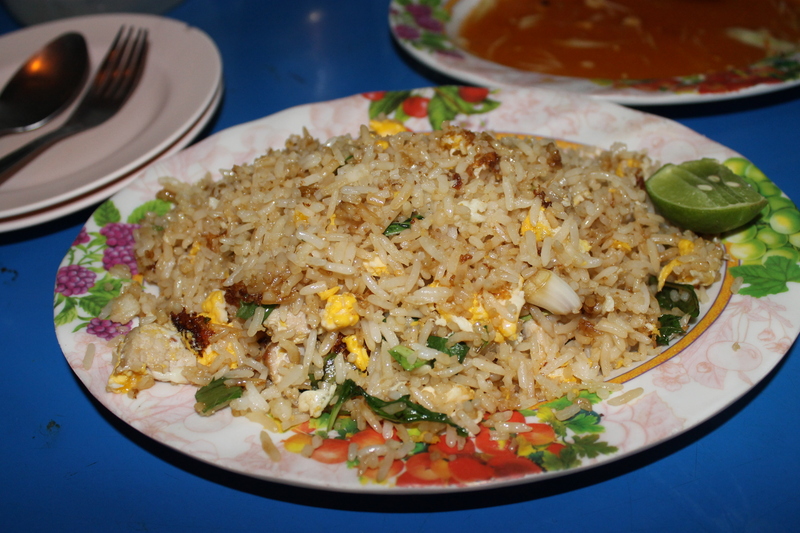 Given that we’re both foodies and will eat authentic street food over a fancy restaurant any day, we decided to keep walking until we found somewhere that looked good for dinner; we’d never forgive ourselves if our last meal in Thailand was a Thai-by-numbers, made-for-tourists event. Inevitably, because our Thai isn’t too crash hot and I did my best navigating a Thai map with Thai street names, wrong turns were taken and we just kept walking in the general direction of our hotel. We ended up on what seemed to be much quieter streets without really realising how we got there, but we just kept walking. Until we found this place. It was PACKED! I vividly remember an older lady sitting in the gutter, washing out dishes by hand, and pouring the dirty water from the buckets down the street before re-filling them from the hose that lay next to her. We took a seat on the squat plastic stools, and were handed two plastic menus. We ordered a bit of everything; papaya salad (for husband who has a masochistic love for anything spicy), stir fried greens in oyster sauce, pork fried rice and BBQ beef. While we were waiting for our food, we just sat back and took stock. 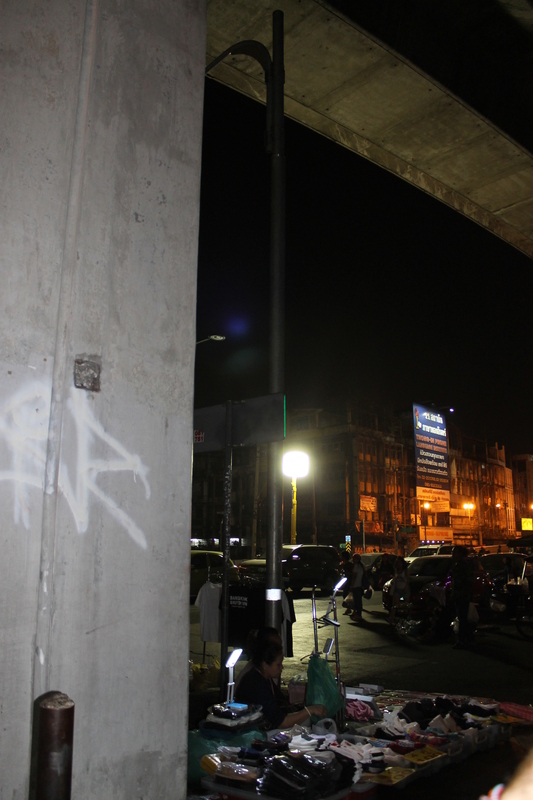 Of the place we were, in that moment, literally; on the side of a dark street in Bangkok, late at night. 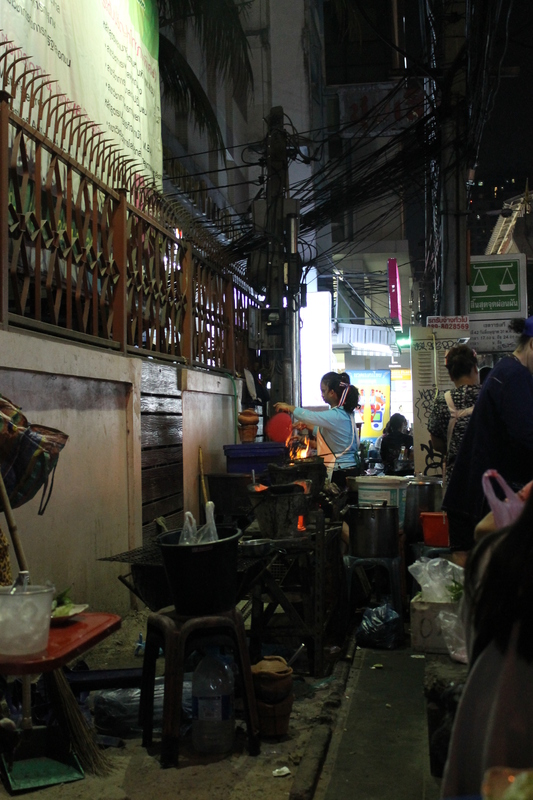 There were women manning enormous woks over my left shoulder, with bright orange flames licking the sides. A few plastic menus, sticky with various sauces, being passed around and shared. Locals and other travellers all sharing the space, and enjoying their meals immensely. And this little lady, sitting in the gutter, robotically cleaning the dishes. Then I thought about where I was in life. My childhood dreams were to see the world and have adventures. I didn’t play “mummy” with my dolls, pretending to make a home for them, and bathe and clothe and cuddle and feed them. I put my dolls on trains that had been thrown off the tracks by an earthquake and onto the precipice of a cliff, where they were hanging on for dear life. Other dolls sailed away on boats, dodging all manor of sealife, real and mythical, to their destination on the other side of the world. More yet rode horses out into the wilderness and saw incredible things. That’s what I had always wanted. And as I looked around, though tame to a lot of people I’m sure, wasn’t this some sort of an adventure? Wasn’t I finally living my life the way I wanted to? That’s why I look so glazed over and happy in this photo.. Yes, the food was good. Amazing, actually. 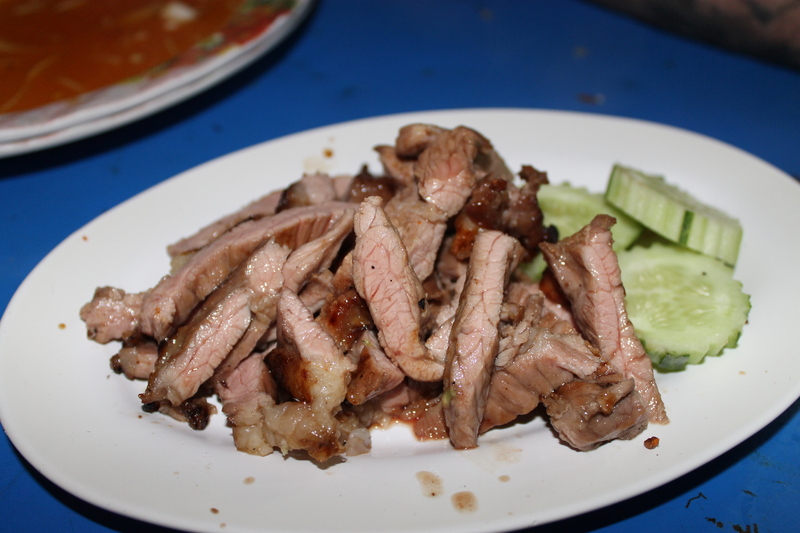 I’ve been to modern restaurants where I haven’t eaten beef than tender and well cooked. 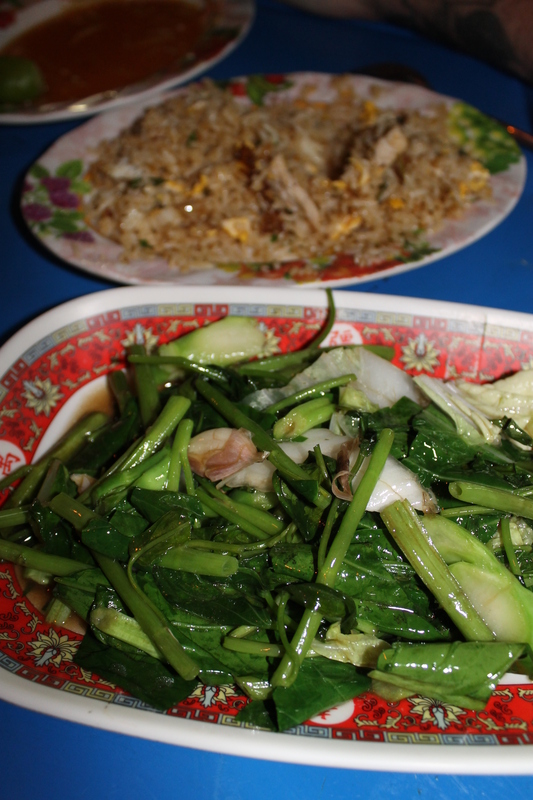 How they managed to impart that much flavour into green vegetables with oyster sauce is beyond me. The food was delicious! But good food clearly isn’t the only thing to consider when thinking about your best ever meals. 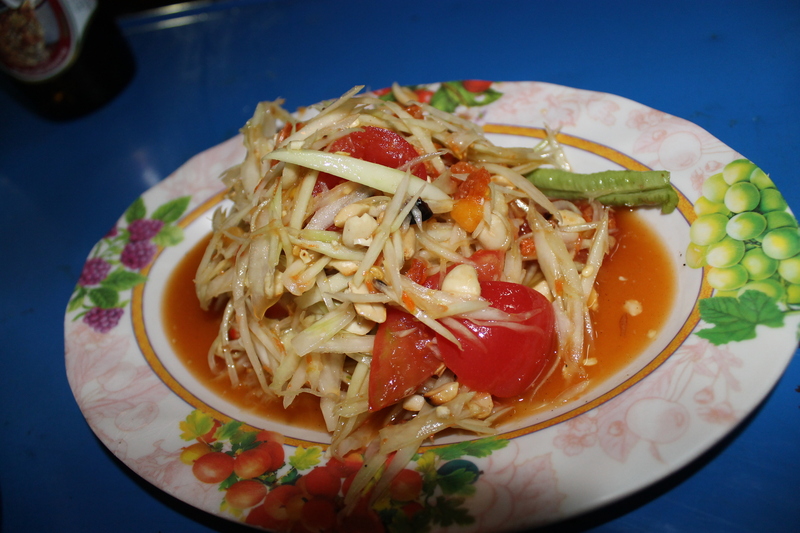 I love Thai, you can’t get any better than the real thing! Definitely not! Some of the best food in the world!